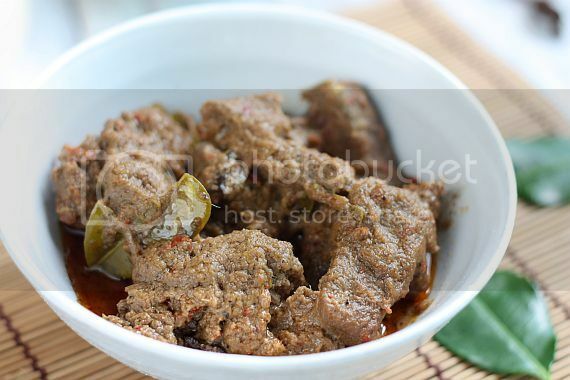 Whenever I think about authentic Malaysian food, the beef rendang would definitely be on my list. 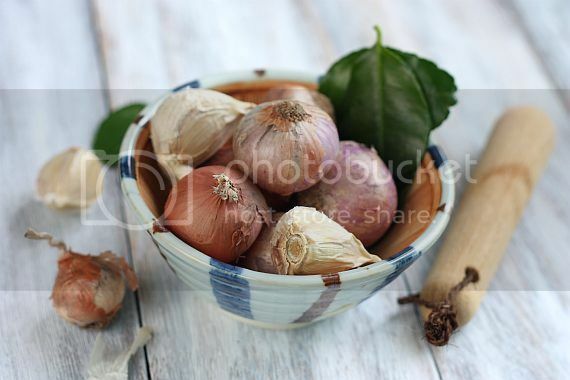 This particular dish immediately conjurs about images of tradition, recipe passed down through generations, a motar and pestel, a basket of fresh spices and herbs and a family sitting down to a delicious meal. 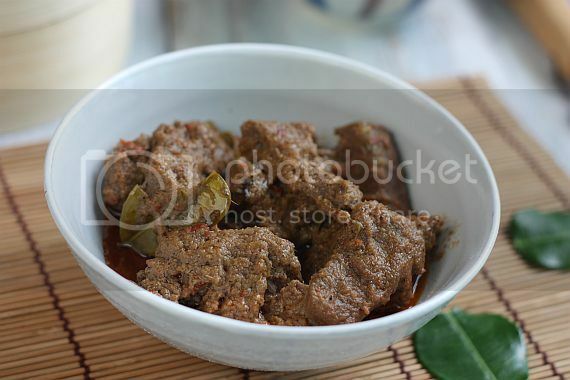 Beef Rendang is one dish that does take patience as it needs to be simmered for a couple of hours. I guess nowadays people would take the "cheat" method which is to use packet prepared Rendang paste. I must confess that I personally have tried this method as well but somehow the taste is not the same! Maybe it's me being a fuss-pot but I truly don't mind putting this dish together from scratch. 1) Grind all the ingredients in a food processor and set aside. 2) Heat wok (or non-stick deep stewing pot) on high, stir-fry spice paste and cinnamon stick for about 4 - 5 mins until fragrant and the oil develops. 3) Add in the lemongrass and beef cubes. Stir for another 3 mins, then add in the coconut milk. Bring to a boil and then turn the fire to a simmer. Add in the tumeric leaf (or lime leaf/zest). 4) Then add in the tamarind juce and cook the beef in a slow simmer for 1 1/2 hours. (Add a little water if it starts to dry up too quickly]. 5) Add the toasted coconut paste [kerisik] during the last 30 mins of cooking. Season to taste with salt and sugar. Note: If you don't eat beef, you can substitute with mutton, lamb or chicken. For chicken, the cooking time should be about 45 mins to an hour. Mutton and lamb should be the same cooking time as beef. 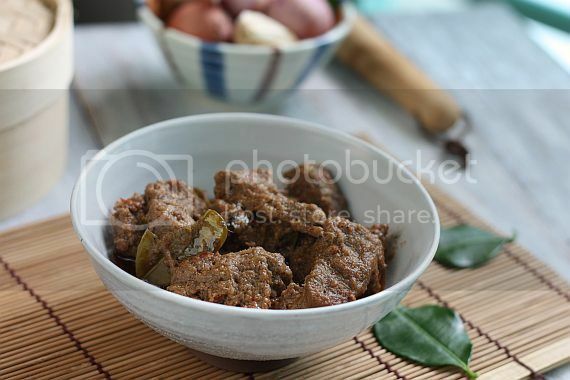 Oh, your beef rendang look so good and tempting, I looking forward to go to my Malay's friend house when Raya time to taste this, hmm, YUM YUM! Yum yum! The gravy would go great with some Chinese steamed buns. Look the spices going into your homemade paste....it must be super delicious rendang. homy word your rending looks super delicious! I always buy packet mix to make cos I thought it's very difficult to do, but your recipe makes it look less difficult! Are the chillies you use small red dried chillies or large long ones? Same for the fresh ones, small or large long? 3 Studies PROVE Why Coconut Oil Kills Fat. The meaning of this is that you literally burn fat by eating Coconut Fat (including coconut milk, coconut cream and coconut oil).